The K-Pro for the D17 consists of a hardware modification to a donor K-Series ECU, a specially modified cam timing wheel, plus Windows software which allows you to re-program the ECU and datalog sensors. To order, fill out this form and contact a Hondata dealer. Turn around time is usually 2 days from the time the ECU is received by Hondata. 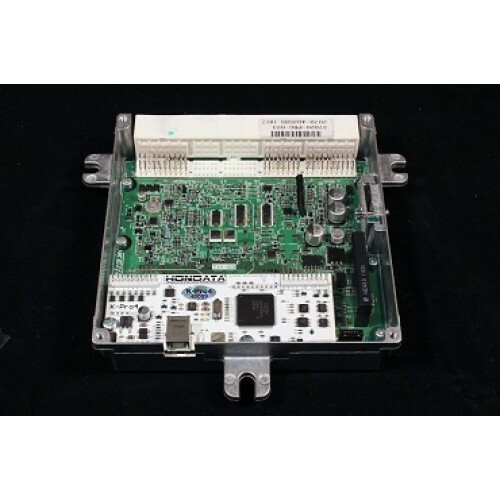 The stock D17 ECU cannot be converted to a programmable ECU. A new RSX-S ECU or donor ECU must be used. The Hondata adjustable cam pulley has specially modified timing teeth. The stock timing wheel will not work. The Civic HX and all 2004-2005 Civics use a wideband 02 sensor compatible with the K-Pro. Base maps are included for a stock D17 non VTEC Civic and a D17 non VTEC turbo. The K-Pro ECU will not work on automatic D17 Civics. Any K-Pro used on a 2002-2004 RSX-S will work provided the Hondata cam gear is used. All 2004-2005 Civics and the 2001-2003 Civic HX use a compatible wideband 02 sensor. 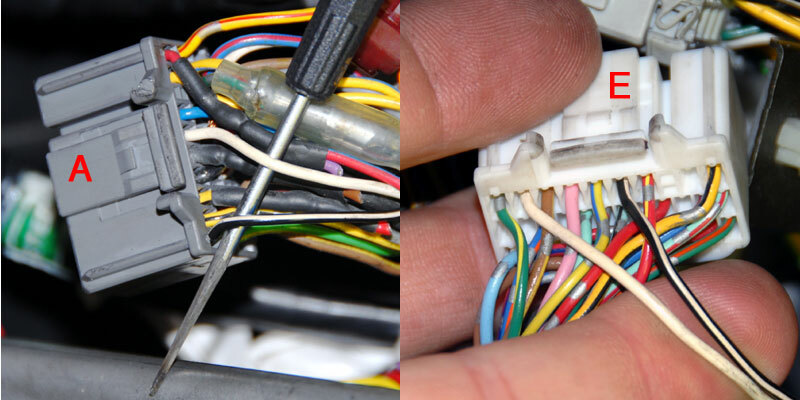 Two wires need to be moved for rear O2 operation. The 2001-2003 Civic DX, LX & EX Civics use a narrowband 02 sensor. Two wires need to be moved for closed loop operation. If you plan a K engine swap, install the appropriate engine harness and switch on VTC in the KManager software. The K-Pro ECU is not real-time updateable, however most changes to tables and settings can be uploaded in 1-2 seconds via USB. The D17 knock sensor is incompatible with the K-Pro and must be disabled in the KManager software. 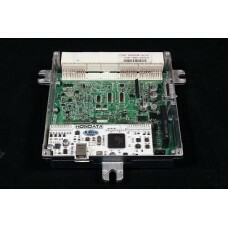 The K-Pro ECU can be matched to the Civic immobilizer system. See here for details. For training materials see here. The adjustable cam pulley is shaped differently than stock. You will need to remove the power steering pump and alternator and loosen the engine mount. The K-Pro can be installed in the location of the stock ECU. The K-Pro circuitry can be installed into the Civic's stock ECU case. You will need to cut a USB hole. The K-Pro ECU can be installed in the glove compartment. You may need to cut the rear plastic. For the Civics that use a wideband sensor you need to move two wires to activate the rear O2 sensor. 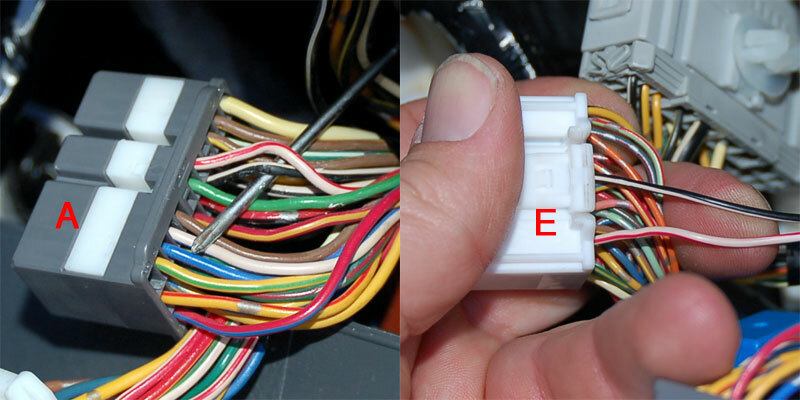 If you have OBD 2 disabled and do not need to use the secondary O2 then it is not necessary to move the wires. These Civics have a narrowband O2 sensor. The donor US ECUs (see above) are designed to run by default with a wideband front O2 sensor. So we use a European PRA calibration, which is designed to run with a front and rear narrowband O2 sensor, feed the voltage from the Civic's front O2 sensor into the K-Pro's rear O2 sensor input, and alter the K-Manager software to run closed loop from the secondary O2 input. In this situation OBD II must be disabled. THE VERDICT: Hondata K-pro is the sh_t!! Ever since I got my RSX, I never seemed to bond with the car like I did with my Old civic Si... I tried putting bolt ons, making it look pretty, a turbo kit and nothing seemed to helped it.... but the I added K-Pro.. and its a different story. The car feels and pulls sooooo strong its unbelievable. I raced my friend with a turbo prelude, port and polish, higher boost etc, and i can literally say that I left him like he was standing still! Before Hondata we were pretty much dead even all the way to 100. Yesterday, I gave him a 2 second lead and I railed him in soooo fast that I thought that he had either let off or slightly tapped the brake... needless to say, it made me fall in love with my car again!! K-Pro V4 upgrade form Upgrade a KPro v1, v2 or v3 to the KPro v4.